Days before the one-year anniversary of the world's first Nissan LEAF delivery on Dec. 11, Nissan expands availability of the all-electric LEAF into new U.S. markets. After one year and 20,000 global deliveries, the Nissan LEAF remains the world's only all-electric car for the mass market. Today, Nissan has re-opened reservations and has begun taking orders from the general public for the 2012 Nissan LEAF in Delaware, Indiana, Louisiana, Nevada, Ohio, Pennsylvania, and Rhode Island. Deliveries of the LEAF, enriched for the 2012 model year with additional standard equipment including quick charging and cold-weather features, will take place in these key markets beginning in spring 2012. "Nissan LEAFs have been on the U.S. roads for one year now, and thousands of drivers have become living proof that a 100-percent electric, zero-emissions vehicle fulfills the daily needs of drivers from all walks of life," said Brian Carolin, senior vice president, Sales and Marketing, NNA. 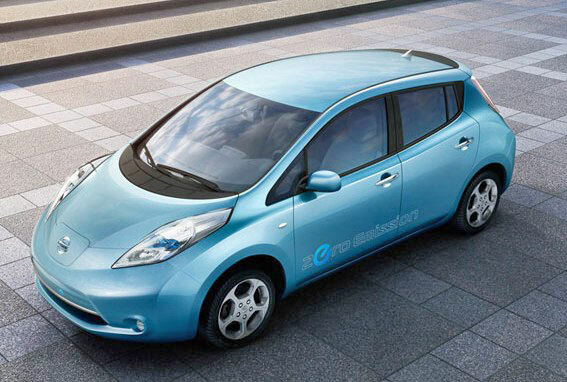 "We are seeing already-strong interest in the LEAF continue to grow across the country. This market expansion brings us one step closer to true, nationwide availability." With this new wave of availability, Nissan LEAF is now available for order in 30 states, including Washington, D.C. Nationwide, 50-state ordering will be available by March 2012.